Rediscovering a place has never been this interesting. 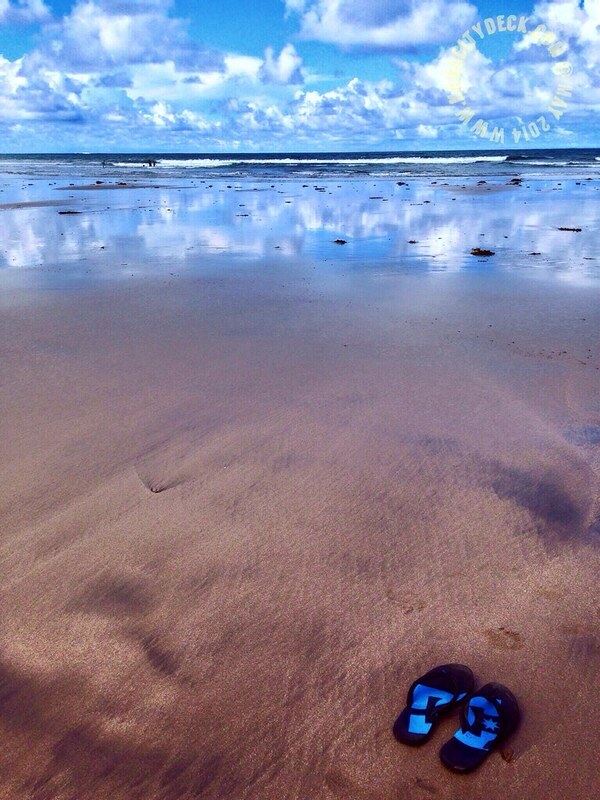 Towards the end of April, someone was leaving footprints to follow for a Date In Daet by none other than the very witty SoleSearchingSoul.com. This is a second invitation for a visit in Daet, so I said to myself I have to push through with this since I had a busy schedule the first time I was invited. Luckily, I was able to secure a slot in being a Solemate. Yey!!! I'm a Bicolano but I was as excited as someone who haven't been to Daet. If there's one way that I can describe Daet, it will be "A place that will keep your feet on the ground". Let me tell you why in this first post of my #DaetInDaet series. 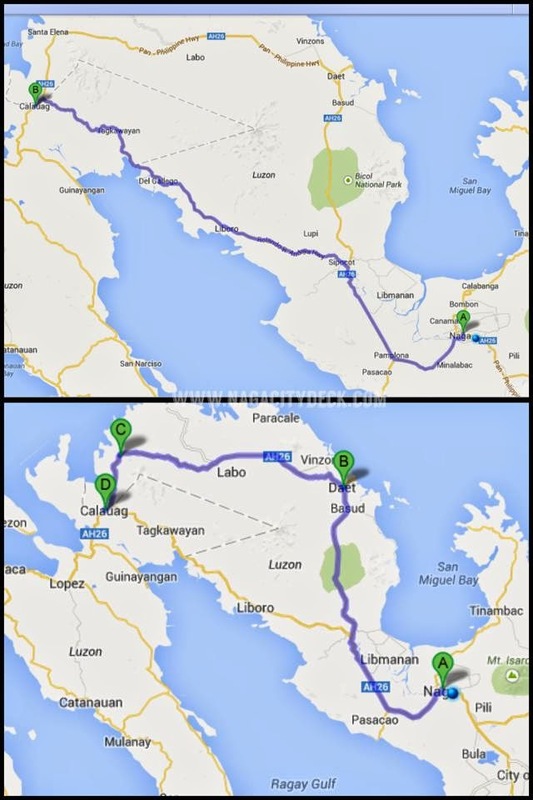 First map above is the new Maharlika Highway (formerly Quirino Highway). 1. Gateway to Bicol from the north. 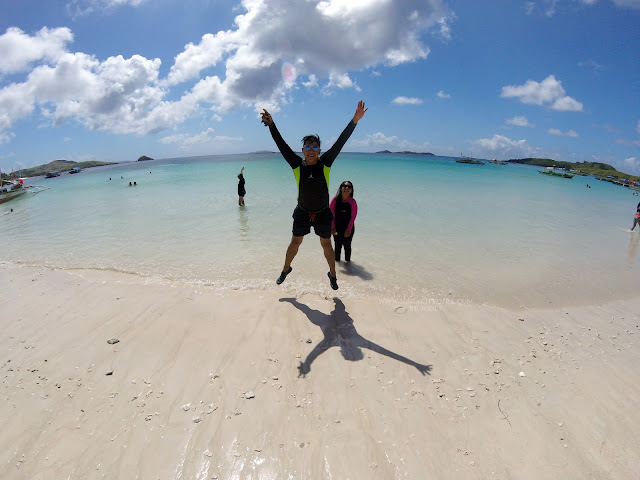 Geographically speaking and coming from the north of Luzon, Camarines Norte is the gateway to Bicol via road trip. Daet being the capital town of CamNorte was a booming town before the Quirino Highway (now Maharlika Highway / Daang Maharlika) was completed. 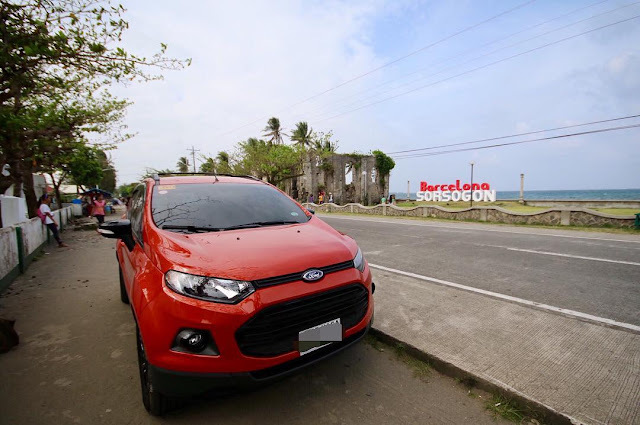 From Calauag Quezon, there's a huge arch - the "gateway to Bicol" along Tabugon, Sta. Elena Camarines Norte. It is quite amusing that you were able to enter the gateway to Bicol and yet you will pass by again to another Quezon town which is Tagkawayan using the national highway. Try using the Google map it's as if Tagkawayan Quezon's entirety looks as if it can be part of Bicol already. I'm sure most of you watched Disney's famous animated movie, Cars right? Daet was somehow like Radiator Springs. Like Route 66 in United States, the new Maharlika Highway by-passed all of the towns in Camarines Norte cutting you around 2 hours of your travel time to Naga or to any destination in Bicol. Why do you think Daet has traffic lights when my city doesn't have many years ago? While Daet remains humble and grounded being the real gateway to Bicol from the north, they strive very hard to continue attracting investors and to achieve cityhood. 2. Home to Bicol's "Bicol...". 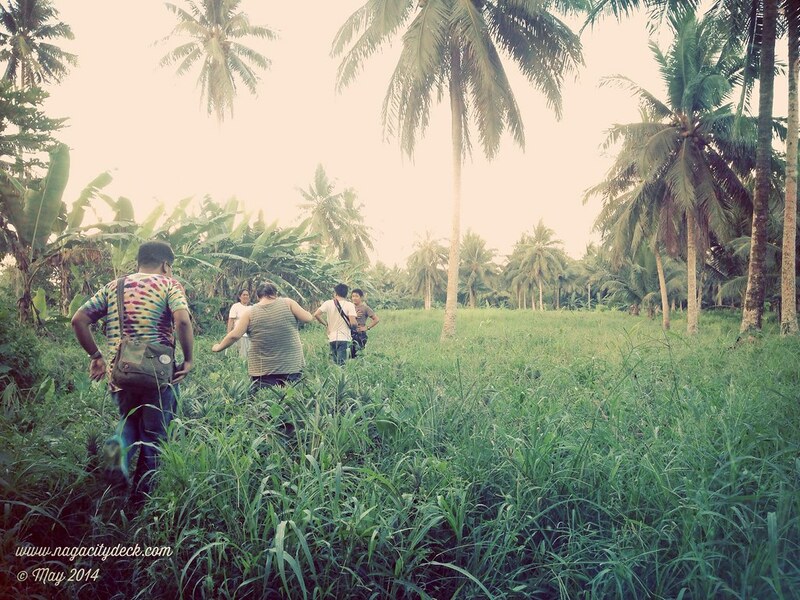 The road to Daet is one of the greenest roads in Bicol. 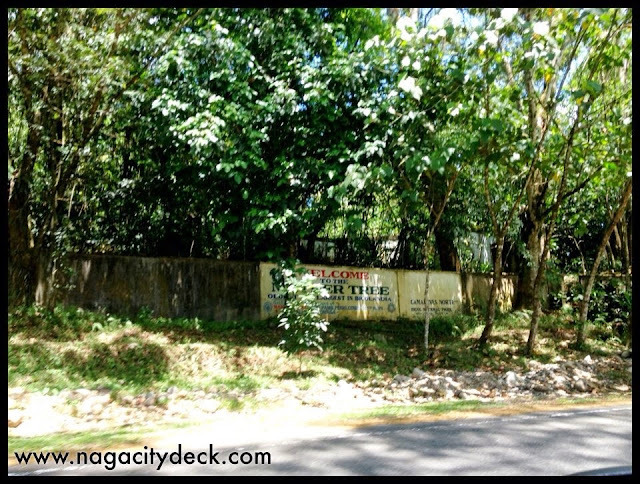 Obviously seldom used and in very good condition because of the Quirino Highway. I think it's still a blessing in disguise. At present, damn DPWH is doing major road rehabilitations all over the Ph and Cam Norte roads is an option away from the bumpy Quirino Highway. Driving from Naga and reaching Basud, Camarines Norte grounds is a protected forest, Bicol National Park which houses Bicol's Mother Tree, the oldest and the largest. They said that you have to trek around 2 kilometers from that marker going to the tree. Also, reaching Basud grounds is a zigzag road with 2 sharp curves similar to Bitukang Manok in Atimonan Quezon but not that steep. Though this is not Daet yet, the National Park and the zigzag road is always associated to Daet and will always be part of the interesting attraction whenever you are in the area. Travelers who are always nauseous can sleep this one off but will surely fuel up the adrenaline junkies and drivers. 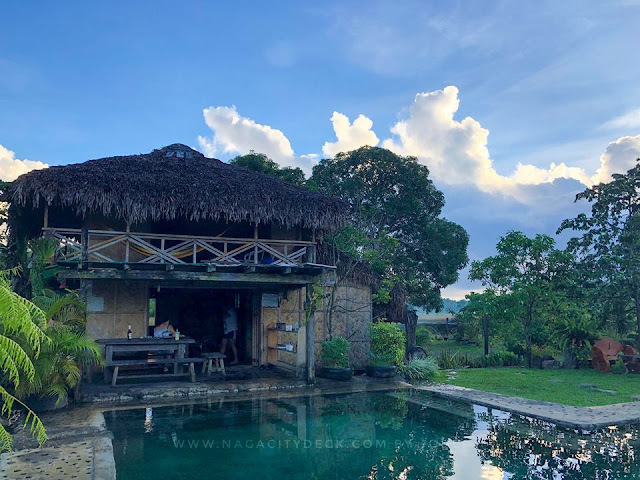 Camarines Norte has the 'Bicol' titles which encompasses the whole Bicol Region and yet Cam Norte stays as simple as it is. Let's go back and visit the mother tree some time soon. CLICK HERE for more Cam Norte road photos. Let's get to know more of Daet and the province as a whole. 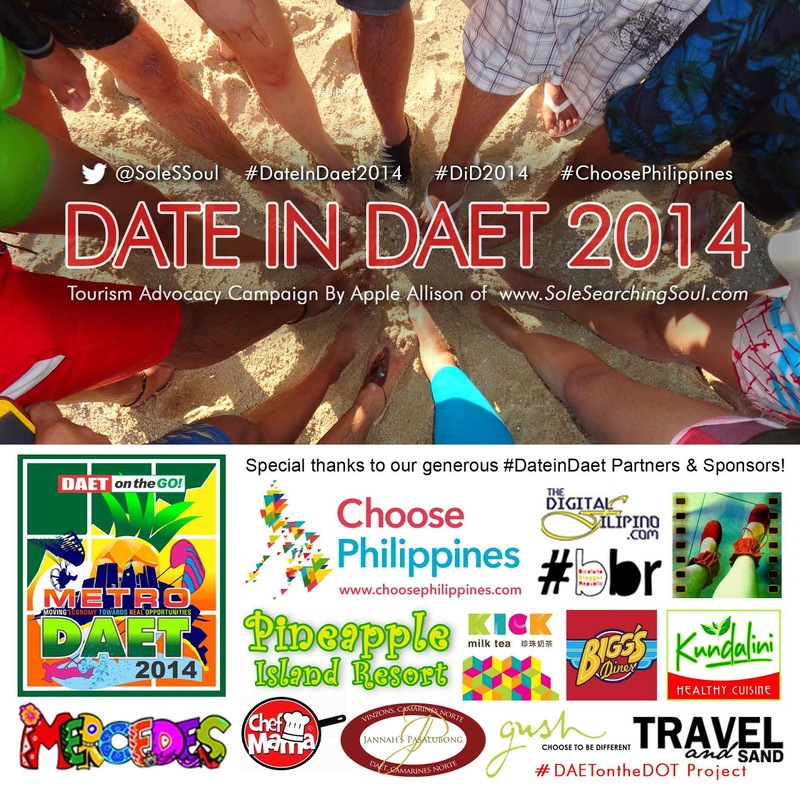 From wikipedia, "The name of Daet was derived from the Bikol word "dai-daitan" which mean, 'close to each other'. Daet also originated from ancient Bicol term "daet" which according to the first Bicol Spanish Dictionary 'Vocabulario dela Lengua Vicol' authored by Fray Marcos de Lisboa would mean 'to make friend' or 'to be reconciled'. Makes sense as to why Daet sounds really nice for a date on a weekend. The Provincial Capitol of Camarines Norte in Daet has a dominantly yellow facade like their famous pineapple and with grandiose pillars. Located at the capitol grounds is the very green Kalayaan Park where one can enjoy the shades of trees, a jog in the morning or a stroll in the late afternoon. Have a birds eye view of Camarines Norte through the murals at the façade of the park adjacent to St. John the Baptist Church which is also one of the oldest church in Camarines Norte. They also have an elevated plaza, where in literally the plaza his elevated. CLICK HERE to know more about the churches and Diocese of Daet. 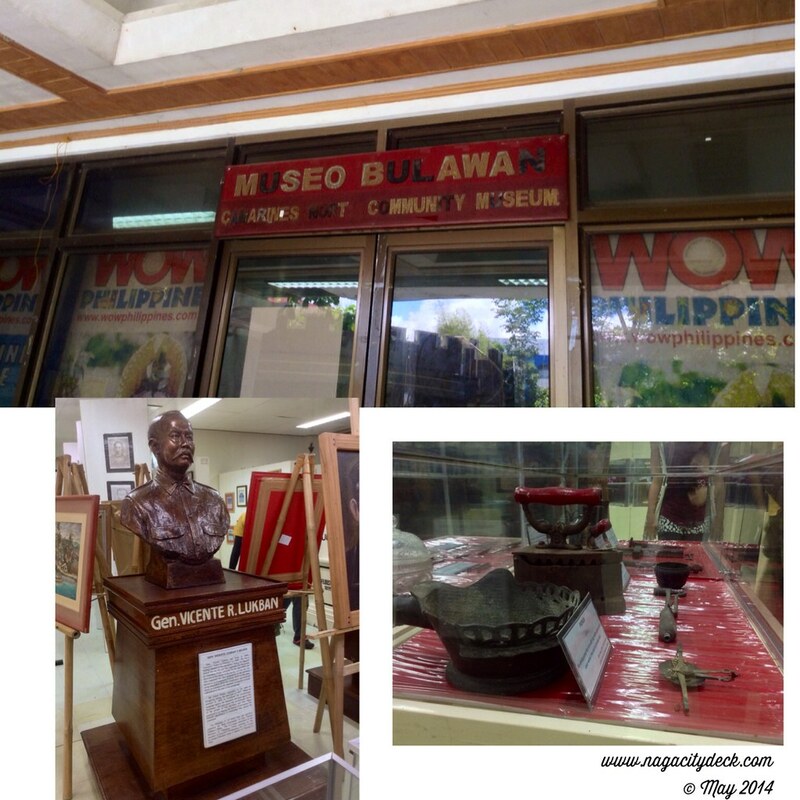 Museo Bulawan (Bulawan meaning - Gold) is a museum located inside the capitol grounds of Camarines Norte. They have various collections from paintings, old clothes made out of pineapple fiber, coins, paper bills, antique utensils, etc. 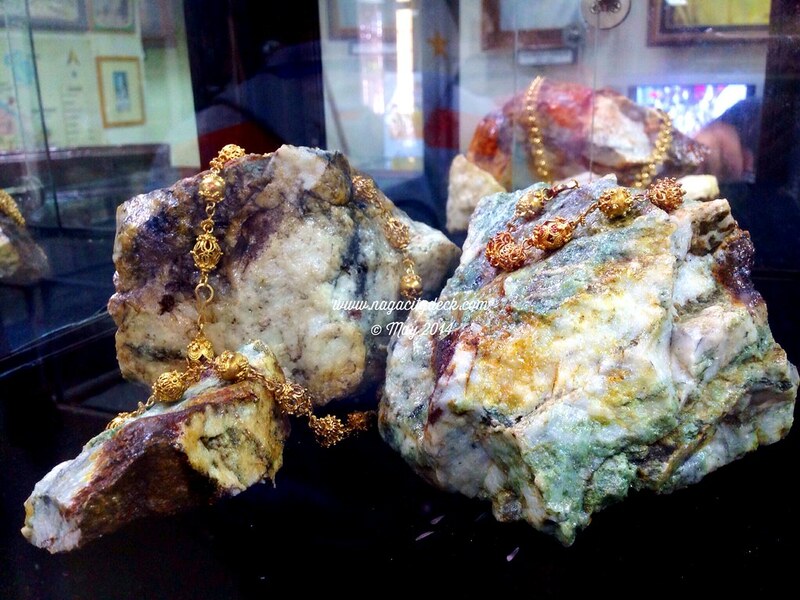 The pride and center piece of the museum are the rocks with gold topped off with handcrafted jewelries of exquisite design. There's no entrance fee for the museum, you just have to log-in, appreciate the display and use a no flash photography. 3. Gold, in the hands of locals. Paracale in particular is known for gold. Small scale mining is the main source of livelihood of the locals. While mining in other places in the Philippines is usually being controlled by multinational companies, the government of Camarines Norte seeks to give it to the locals. Gold is always associated with extravagance but in CamNorte it is grounded to the hands of the locals who strives hard to earn a living. 4. Historical Significance. 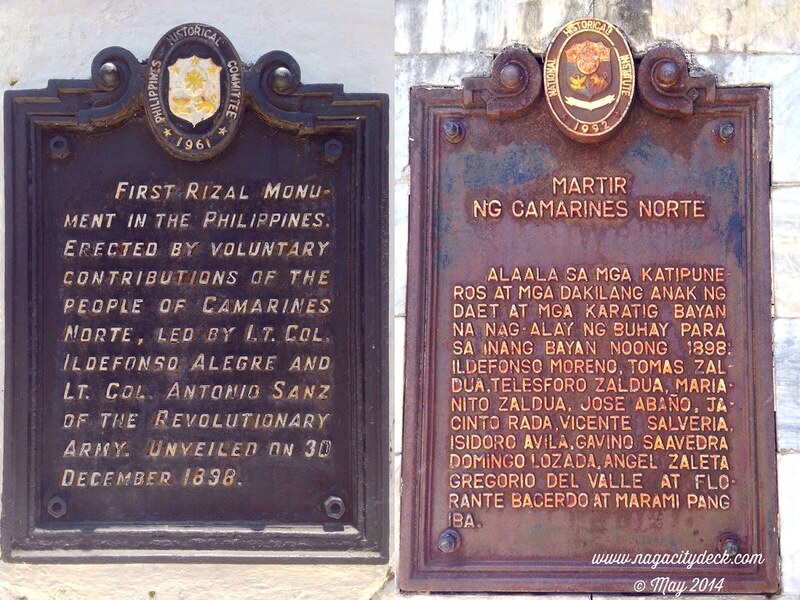 A very significant landmark called the "Bantayog ni Rizal", the oldest Rizal monument in the world stands in Daet, Camarines Norte. Now that is just amazing. Shaped like an obelisk that also slants like a leaning tower, the monument is made out of corals from an old Spanish prison where many Katipuneros were tortured and executed. 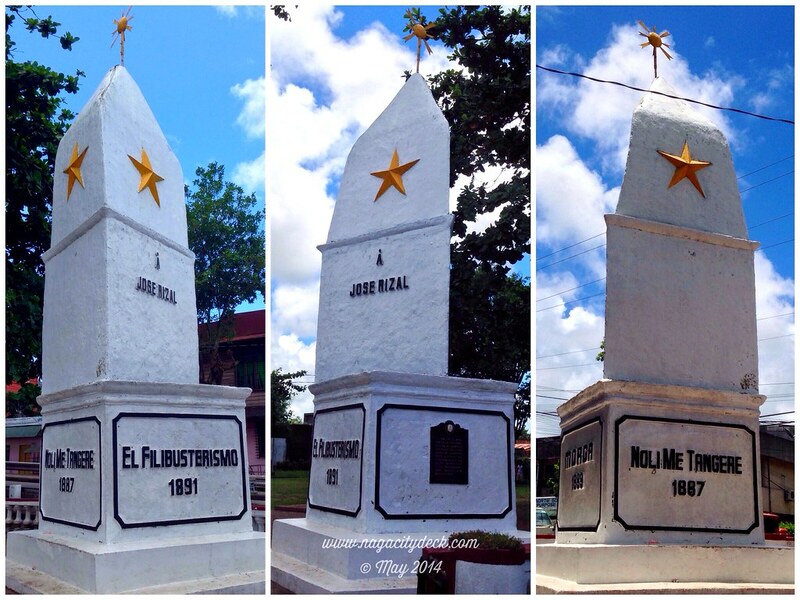 Just a few steps away from the Bantayog monument, is the Monument of the Martyrs of Cam Norte. It was built through the efforts of the relatives and friends of the martyr. The Bantayog ni Rizal and Monument of Martyrs is just right beside Daet River making it a little refreshing. Daet showcases heroes who stand tall but keeps their feet on the ground, not only the Martyrs of Daet but our National Hero, Jose Rizal. For more photos CLICK HERE. 5. The "Queen" sits in Camarines Norte. 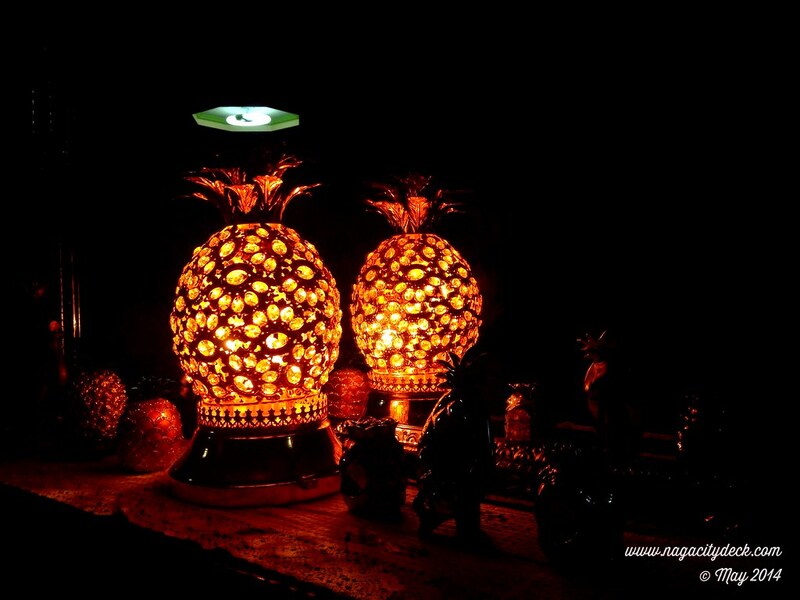 Camarines Norte is one of the biggest pineapple-producing province in the country. The "Queen" or Formosa pineapple in Camarines Norte being the sweetest as claimed by the province of Camarines Norte and attested by many is noticeably small than the average pineapple and has a bright yellow color. True to the testament of many, the queen pineapple variety is really sweet and has a soft core. The smaller the Queen Pineapple the sweeter it is. The Daet Food Producers Association of the local government of Daet specializes in the production of pili roll, pilipiña pie and pineapple juice. 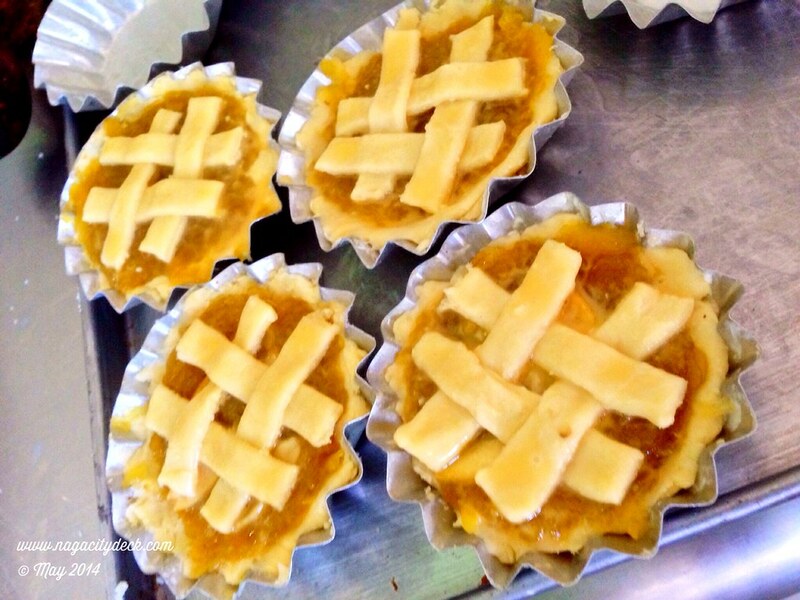 Pili, also being one of the major products of Bicol was combined with the best of Cam Norte, making it uniquely Pilipiña pie. After seeing how the pilipiña pie, pili roll and pineapple juice were made, visiting a pineapple farm has a different excitement. The pineapple farm that we visited is not like the ones that we see on the television where lines and lines of pineapple are neatly planted. 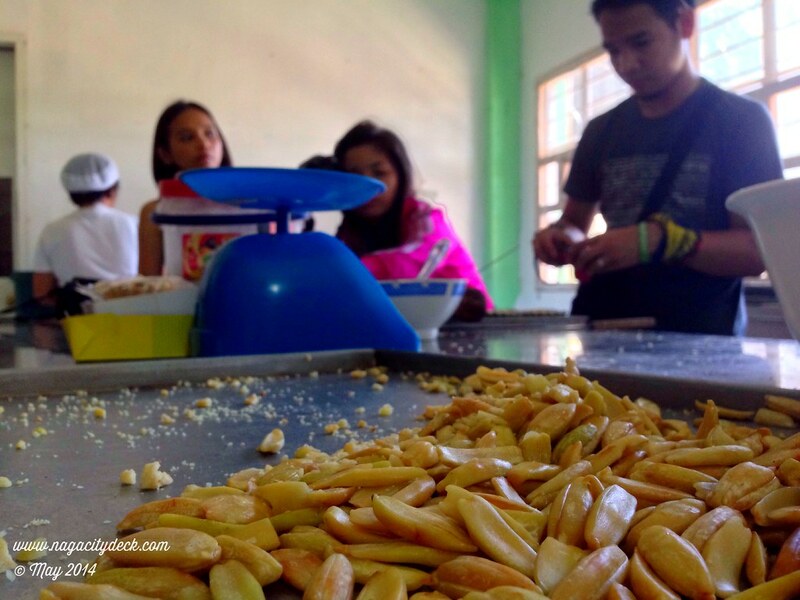 Daet and Cam Norte as a whole humbly produces one of the sweetest pineapple in the country. It's not just any pineapple, it's the Queen. Even if she's the Queen, she is for every local thru backyard farming. Pesticide Free. 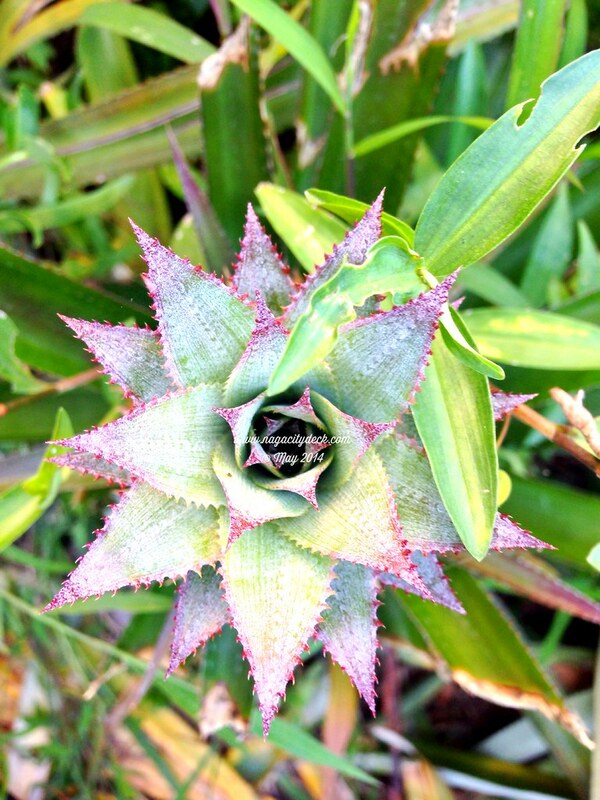 The natural way of growing pineapple. 6. MT2 with Humble Beginnings. The #DateInDaet Solemates were very lucky to visit the humble home of Daet's father, Mayor Tito Sarion a.k.a. MT2 who has a personal collection of pineapples. His interest and hobby in collecting pineapple themed displays does not only relate to Daet or CamNorte's produce, but rather it has a very significant role and sentimental value on how he was molded as a public servant. The story is actually "MKK-able" (Maalaala Mo Kaya hehe). Knowing a humble public servant who is grounded will always make you feel at home and we did felt that we were also home in Daet even just for a while. Thank you Mayor Tito for the VERY warm welcome! These are just six reasons as to why Daet will keep your feet on the ground. I hope I was able to let you see Daet the way I saw it. 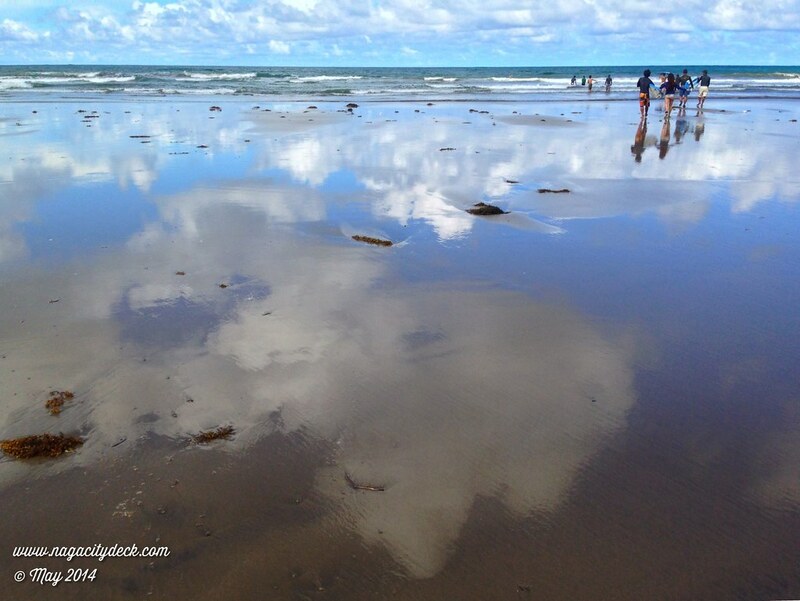 Daet is a simple and humble town in the north of Bicol just waiting for you to explore and appreciate. headed by Mayor Tito S. Sarion under the Daet on the DOT Program.